The greatest social media opportunity? You might be surprised! We are rapidly moving toward an ad-free world, which is kind of scary because the Internet really, really, really depends on ads. Ad blocking increased by 94 percent between 2015 and 2016. About one-third of all smartphone owners block the ads that make all that great free content possible. I probably consume more content than ever. But I do it though Netflix, through Sirius radio, through Spotify. I don't personally use an ad blocker ... but I don't see ads, either. 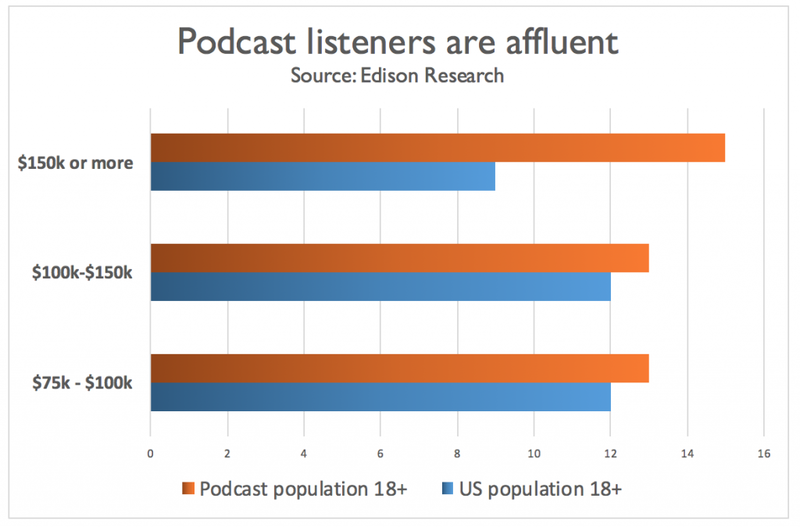 Fortunately, there is a new social media super-power that presents an extremely attractive new advertising venue: Podcasting. You heard me correctly. 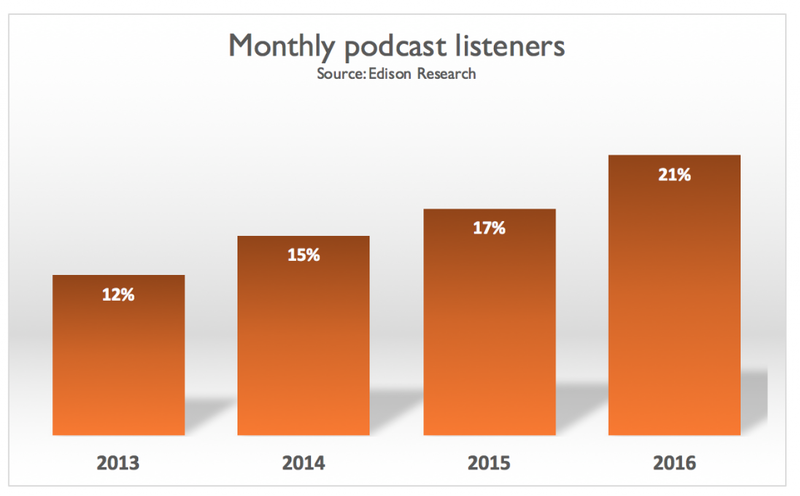 Podcasting is the little advertising engine that could. 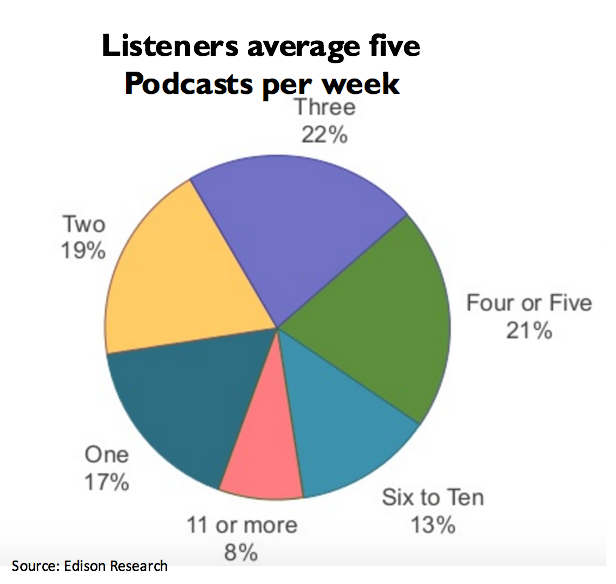 You can't block an ad on a podcast, and when the ad is delivered by a trusted podcast host, the format is arguably the most effective way to connect to some audiences right now. 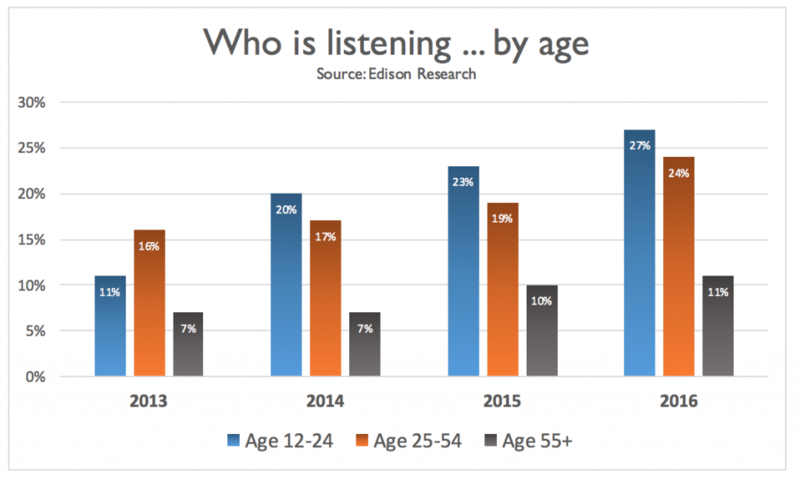 In fact, ComScore reports that people prefer ads in podcasts over any other digital medium! 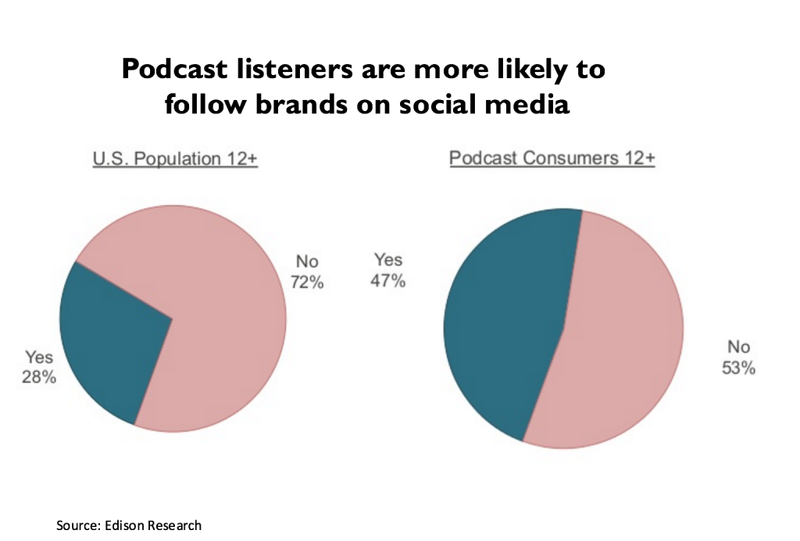 Now is the time to get in on the ground floor of sponsored podcasts. 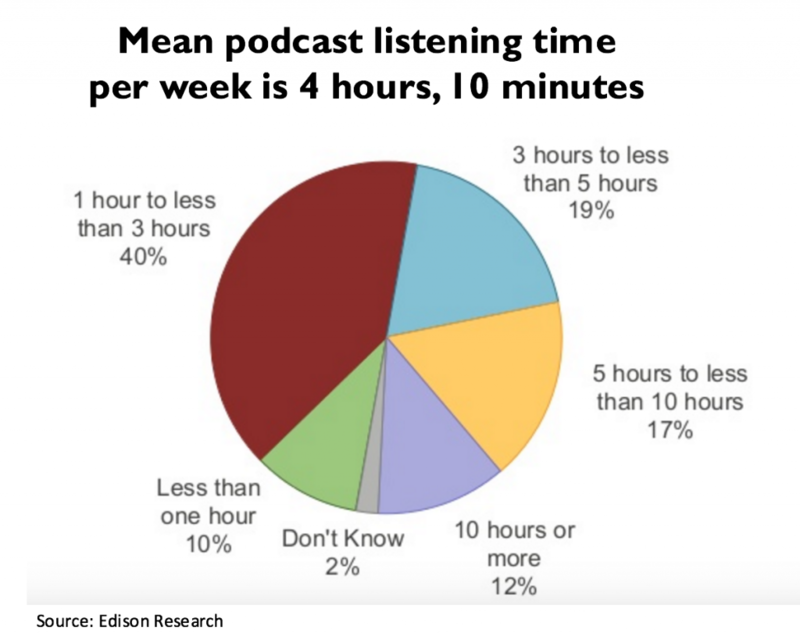 Fueled by smartphone ownership and the advantage of being the "multi-task" medium, podcasting is experiencing its greatest growth spurt ever, as evidenced by this new report from Edison Research: Most of the growth is occurring with consumers under the age of 55: And podcast consumers are voracious, spending more than four hours per week consuming an average of five different programs: Podcast consumers are desirable ad targets for many brands because they are significantly more affluent and educated than the average American: Finally, podcast consumers are much more likely to follow your brand: In a sign that the advertising power of podcasts is starting to be recognized, Scripps, a traditional media company, is making major investments in the space: It bought podcast advertising company Midroll Media for $50 million in cash in 2015, and Scripps just acquired Stitcher, a podcast-streaming app, for $4.5 million. 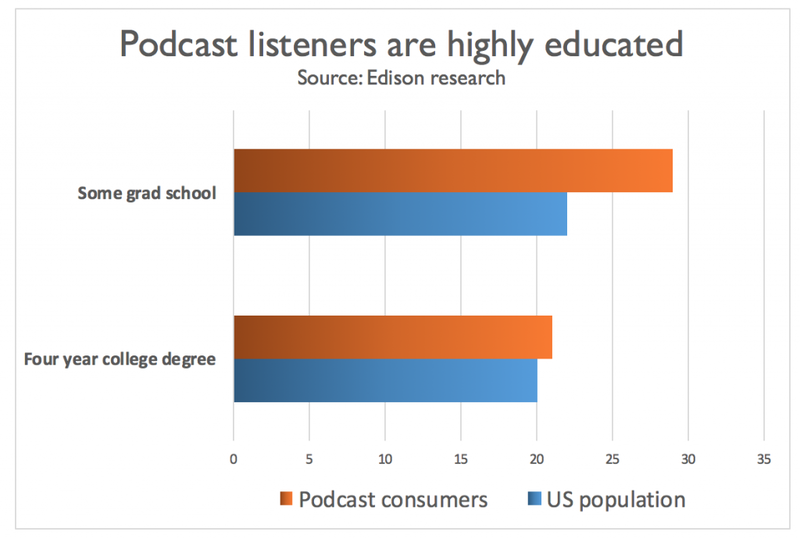 As a marketer, the research had an impact on me and I enjoyed hearing more about this opportunity and the future of podcasting when I discussed it with Tom Webster on our latest episode of The Marketing Companion. If you love podcasting, marketing, advertising, social media, or just the sound of Tom's voice, you won't want to miss this show. Plus, you'll learn about Tommodium, a new pharmaceutical product from the Marketing Companion Labs. It's the solution to Social Media Constipation and ... well, you'll have to hear to believe it. Here we go.